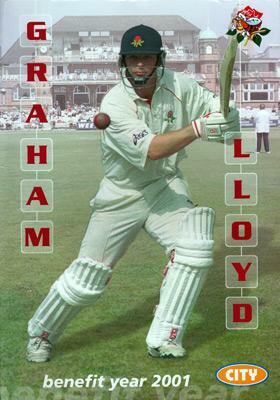 Lancs won by 24 runs. 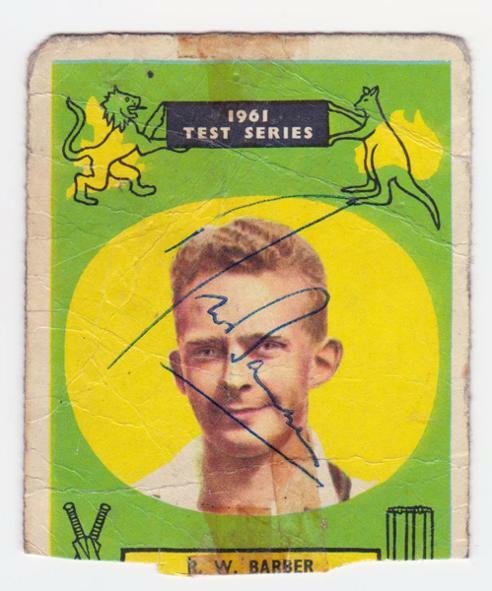 Signed England 1961 Ashes Test Series player card. 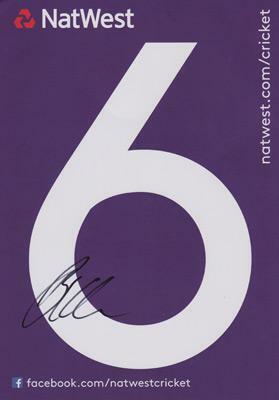 Signed Nat West 6 hit spectator card. 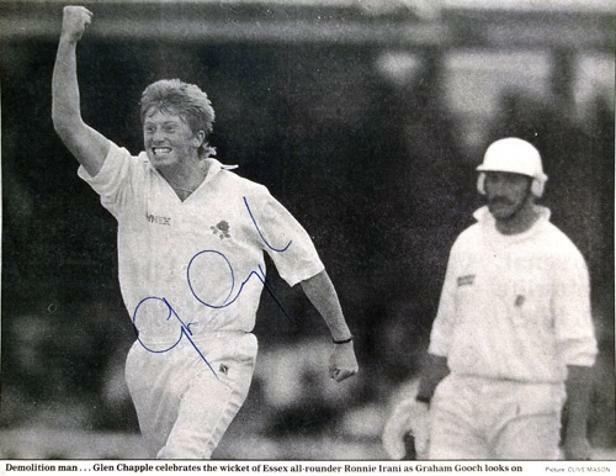 Signed B&W newspaper action pic v Essex. 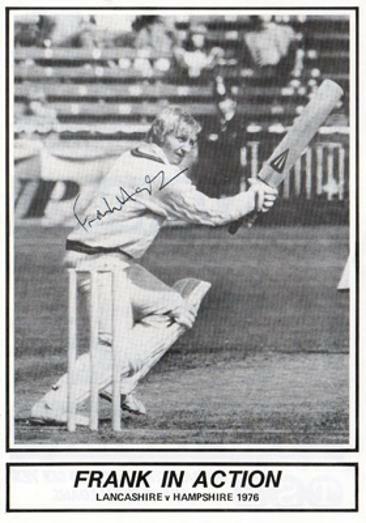 Signed England colour magazine action pic. 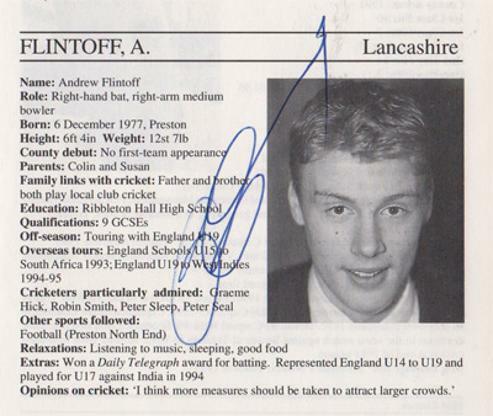 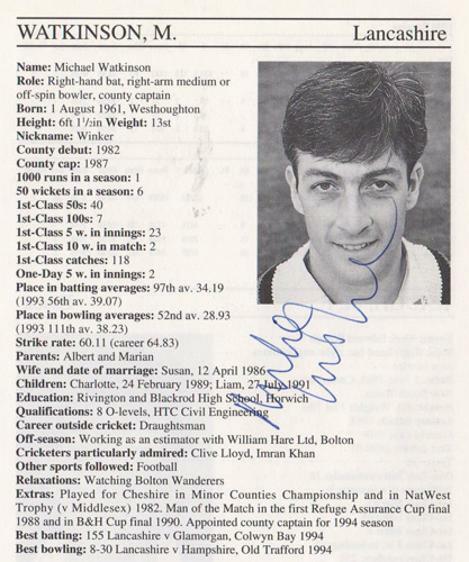 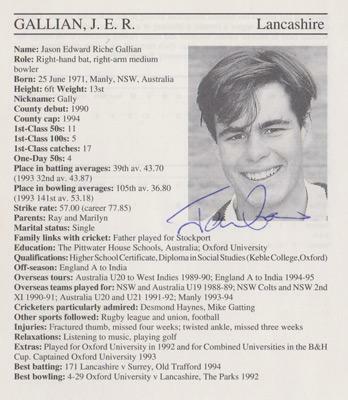 Signed 1995 Cricketers Who's Who bio entry page and portrait pic. 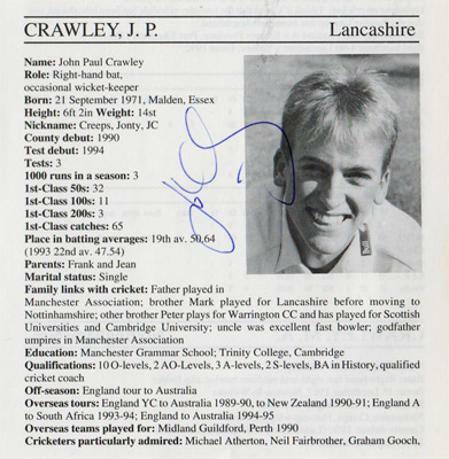 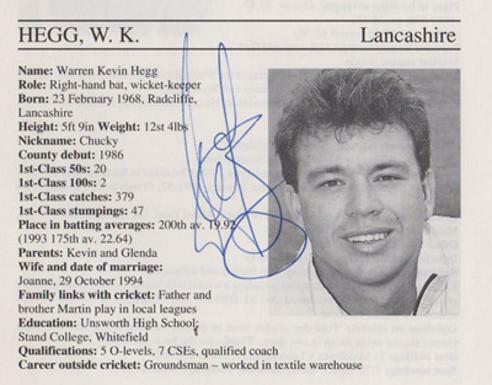 This bio entry was signed before 18yo "Freddie" ever played for the Lancashire first team. 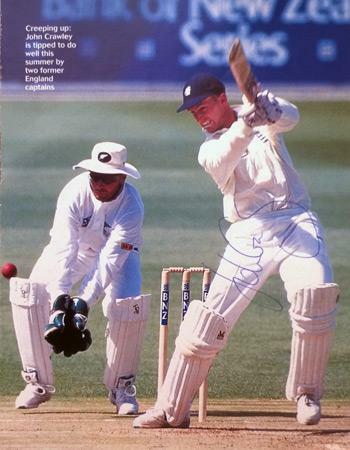 Signed colour magazine pic celebrating a hundred. 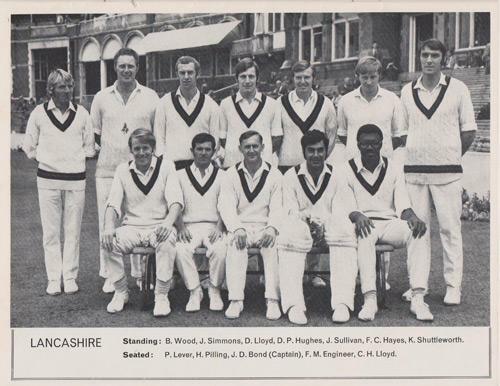 from the Lancs v Hants match in 1976. 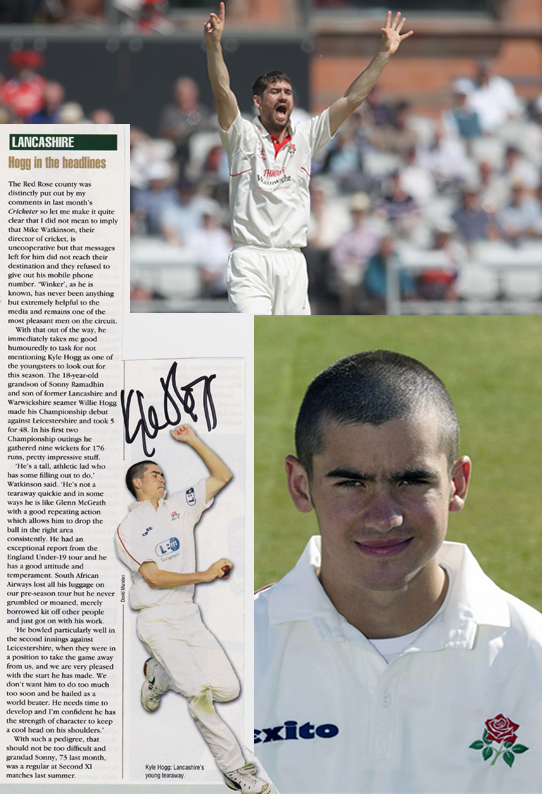 Signed 2006 Lancashire Spin Magazine full-page feature and action pic. 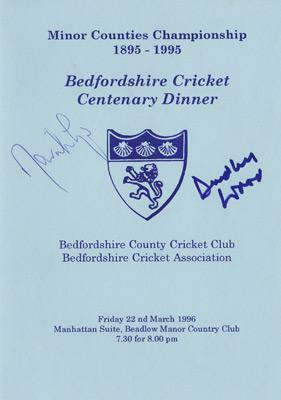 Signed 1996 Minor Counties Centenary Dinner Menu at Bedfordshire Cricket Club. 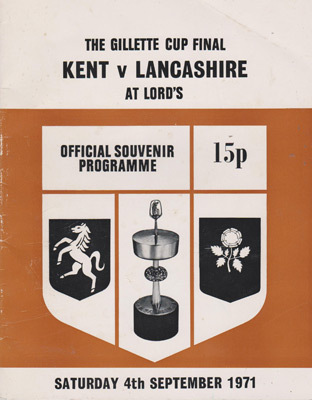 Also signed by Dudley Wood (secretary of the RFU). 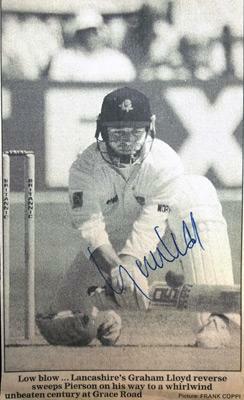 Small signed B&W newspaper pic reverse sweeping against Leics CCC. 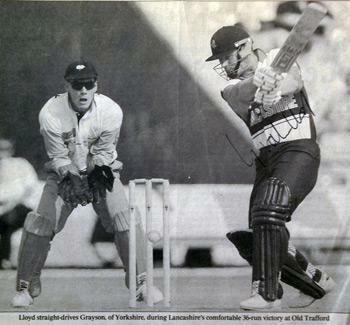 Signed B&W newspaper pic batting against Yorks CCC. 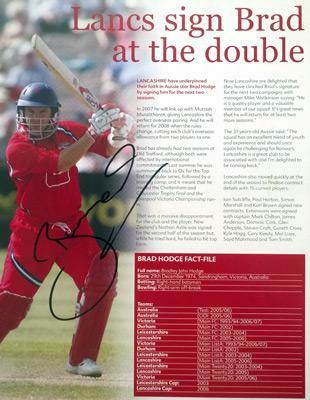 2001 Lancs CCC Benefit Year Brochure. 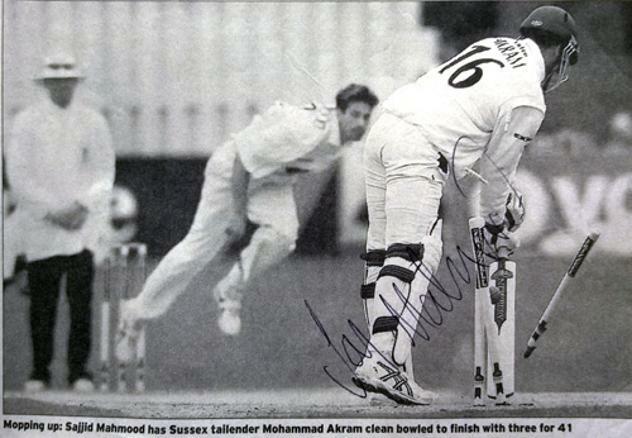 Signed B&W newspaper action pic clean bowling Sussex tail-ender Mohammad Akram. 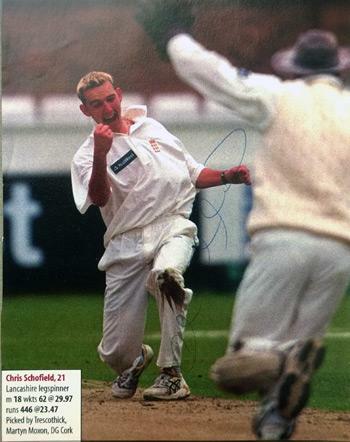 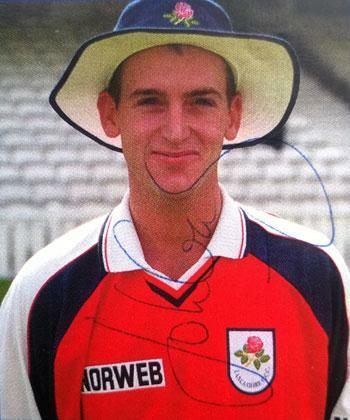 Signed colour magazine pic as a 21 year old leg spinner. 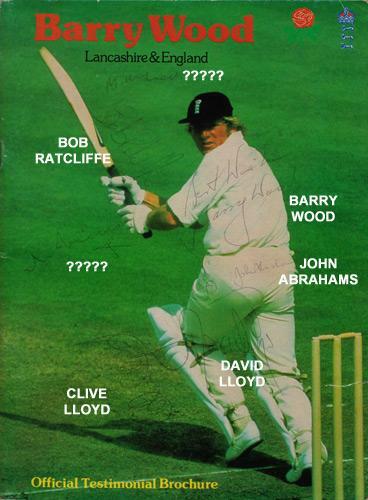 Multi-signed 1979 Official Testimonial Brochure - Signed with Best Wishes by Wood + Clive Lloyd, David Lloyd, John Abrahams, Bob Ratcliffe & two others.